This audio file is a composition of several sound recordings taken in December 2017 around Chelmsford city centre. The audio file is supporting material for a research project into urban soundscapes which involved participants taking part in several sound walks across the city. 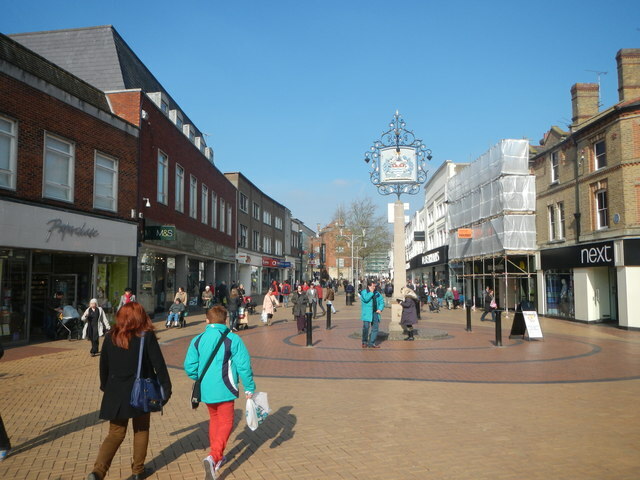 The sound walks broadly followed the following route: Duke Street, High Chelmer Shopping Centre, Indoor Market, High Street, Moulsham Street, Baddow Road, Can Bridge Way, French’s Way and Bond Street. Each recording typically took place on a Friday afternoon. Chelmsford City Centre: Duke Street, High Chelmer Shopping Centre, Indoor Market, High Street, Moulsham Street, Baddow Road, Can Bridge Way, French's Way and Bond Street. Thanks very much for your contribution! A lovely snapshot of different urban noises. We would be interested to hear further updates about your research project.